CLICK ON THE "RESULTS/STANDING" LINK TO MAKE SURE YOU ARE ENTERED IN EACH RODEO CORRECTLY. THIS IS NOT THE DRAW OR RUNNING ORDER. (800) 782-7167 (580) 252-2900 Ext. 240. tourism@simmonscenter.com. Membership must be sent in with the first rodeo entry or you will have to pay the $10 non-member fee. This is a non-refundable fee. Minor Release Form must be sent in with the membership form or turned in at the first rodeo. COPY OF YOUR BIRTH CERTIFICATE AND A LETTER FROM YOUR SCHOOL WITH THE SCHOOL LETTER HEAD ( OR A COPY OF A CURRENT REPORT CARD) BY YOUR SECOND RODEO WEEKEND OR ALL POINTS ACCUMALATED WILL BE LOST. Paid Honoraries by the 5th rodeo weekend or all points will be lost. NO EXCEPTIONS. All entries must be received by the Saturday before the rodeo ( NOT POST MARKED) or there will be a $25 late fee added to your entry. This is for members and non- members. Also, if you are going to become a member you must send in your membership form and $75 fee with your first entry or you will have to pay the $10 non-member fee. We have taken out the rule that you may only come to 2 rodeos as a non-member. You may come to more, there is a $10 fee for coming as a non-member per rodeo, so $20 for the weekend. There has also been some other changes to the rules so please make sure you go over the rulebook on the website. CONGRATS TO ALL OF OUR FIRST YEAR FINIALIST!!!! 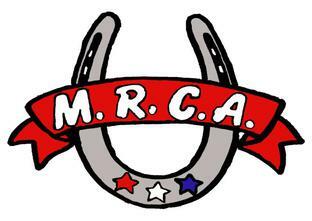 THERE WAS $6,480.00 OF ADDED MONEY AT THE 2018 MRCA FINALS AND WE ARE STRIVING TO HAVE MORE FOR NEXT YEAR.